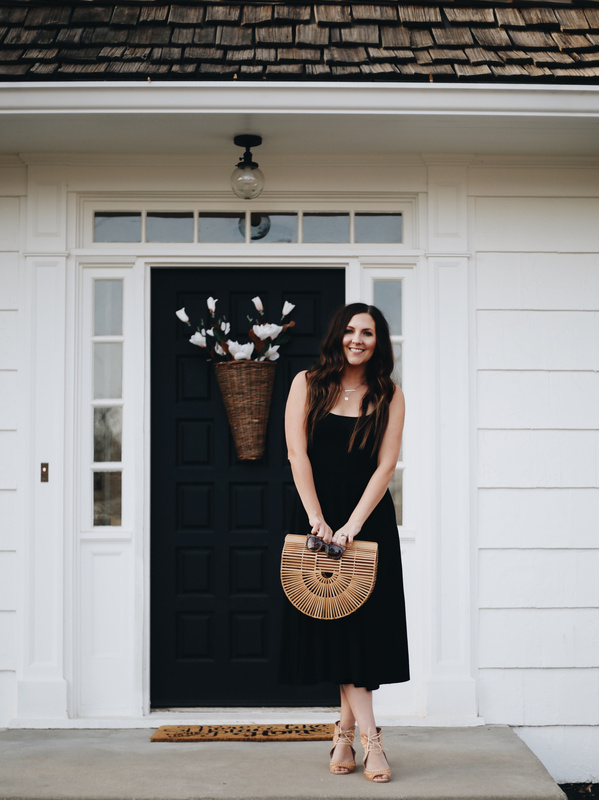 I am so excited to be partnering with Nordstrom and ShopStyle today to share with you all of my favorite Spring accessories! 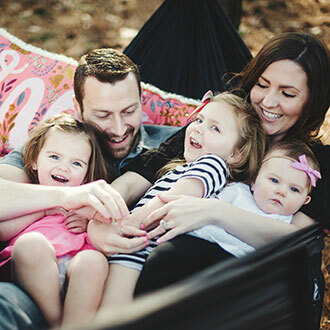 This gorgeous weather has never made getting out of pajamas feel so good!! During any other season, my favorite accessory is a coffee. Maybe sunglasses. But Spring has me singing a different tune, especially with all of the fun stuff from Nordstrom right now!! 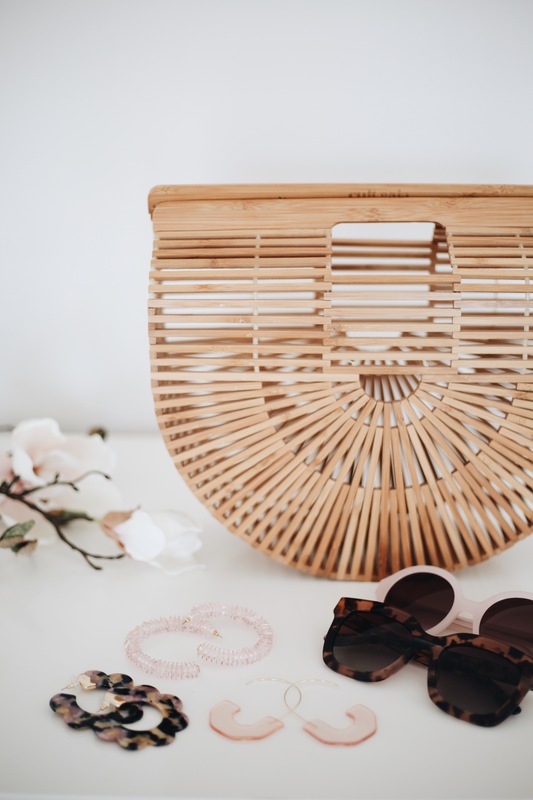 Bamboo bags, lucite earrings & sunglasses for dayyyys! As a busy mom, I love to keep my outfits super basic. So something like this casual (yet super flattering!!) black dress is perfect to throw on during the day and then dress up in the evening with some wedges & accessories. And for the record, IT HAS POCKETS. It has low stock right now, but here is another super similar one of the same brand! 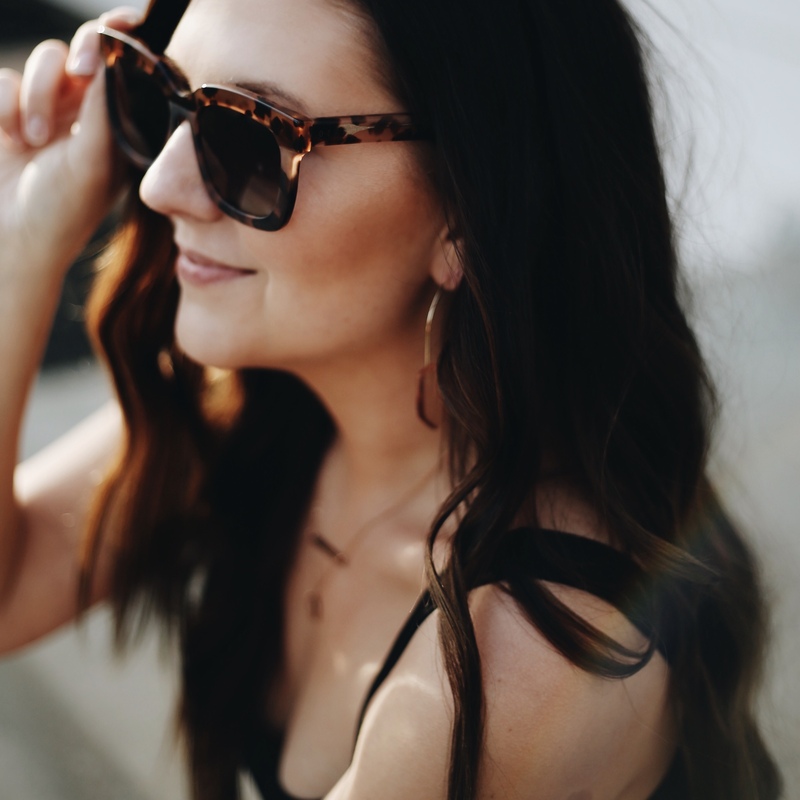 For this outfit, I chose these oversized square sunglasses which are a little more bold than I usually go for and paired them with super fun, lightweight pink lucite earrings. 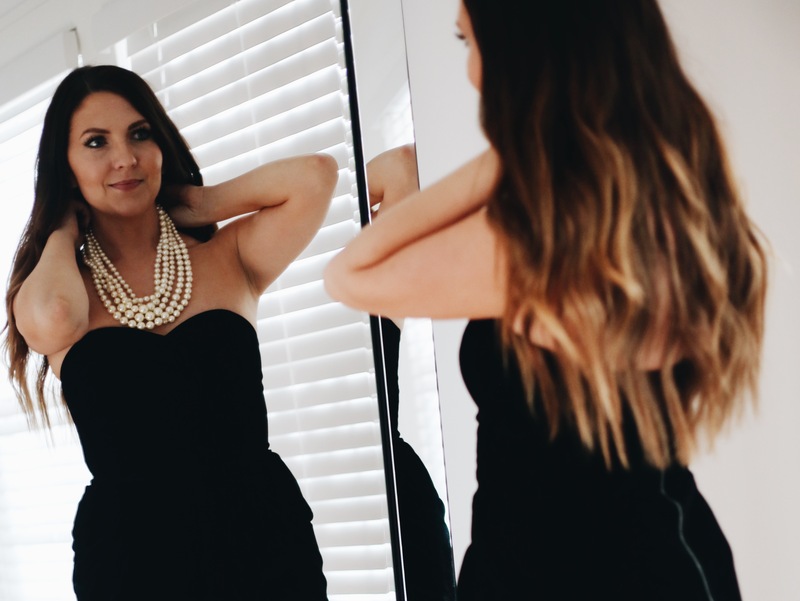 I love these earrings because even though they are statement earrings, they are still dainty enough to wear with other accessories like sunglasses & layered necklaces. I also wore this with my FAVORITE Cult Gaia bamboo handbag. This bag alone makes Spring one of my favorite seasons!! This post is sponsored by Nordstrom & ShopStyle, all opinions are my own. 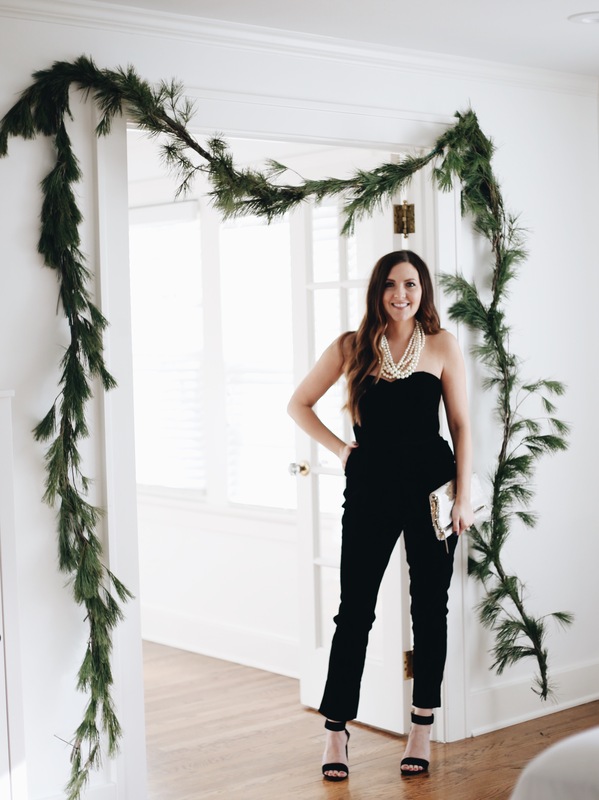 I am so excited to be partnering with Nordstrom to share a holiday party look & a round up of all of my favorite dressy holiday styles! I will never forget, one night last winter when we came to Kansas City, we sat inside a little dive bar decorated with Christmas lights while it snowed outside. We were going over our pros & cons list of moving, and I just couldn’t get over that cozy feeling. Now here we are, one year later, prepping for lots of holiday party fun and looking so forward to that same festive scene! We went to a Christmas pop up bar the other night in downtown Kansas City & I was so excited to get to dress up. 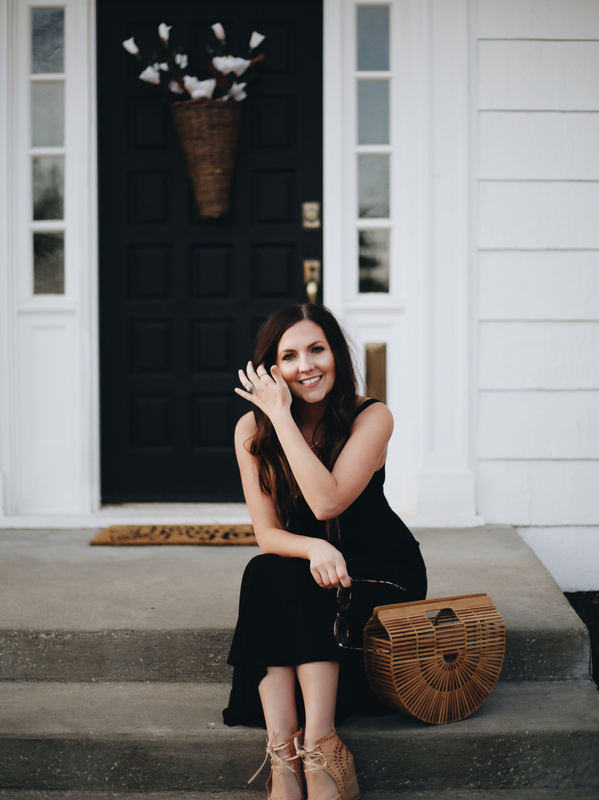 My favorite place to shop for dressy looks is always Nordstrom, and as a busy mama with three kids, their curbside pickup is hands down the best! Or if you shop online, free shipping & free returns, there is nothing better! I LOVE rompers & jumpsuits, so when I found this gorgeous velvet jumpsuit WITH POCKETS (pockets!!!! ), I knew this was going to be my holiday party staple this year! I’m OBSESSED with anything velvet right now!! I paired it with a sequin clutch, classic multi strand pearls & my all time favorite velcro strap heels. 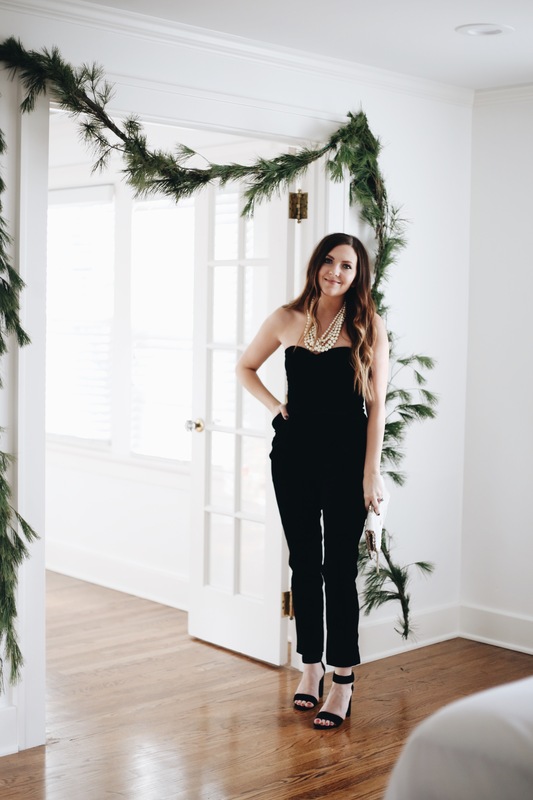 I thought I would share my 5 favorite holiday party outfits pairings & linked a ton of my favorites below. Dark velvet, in either black, charcoal or emerald paired with sequins or pearls. Festive graphic tees or sweatshirts paired with tulle skirts, also so perfect for NYE! Flannel shirts paired with tulle or sequin skirts, so lumberjack chic! Beaded dresses paired with faux fur wraps or cozy wool jackets. Festive red dress paired with gold accessories & a bold red lip! I am so excited for all of the holiday festivities, I want to frolic around in the snow & warm cozy restaurants, sipping egg nog from moose mugs under whimsical Christmas lights, and FA LA LA LA LA!!!! Let all of the holiday fun begin!! Do you have a go-to holiday party style?! Would love to know yours! Cheers, friends!! 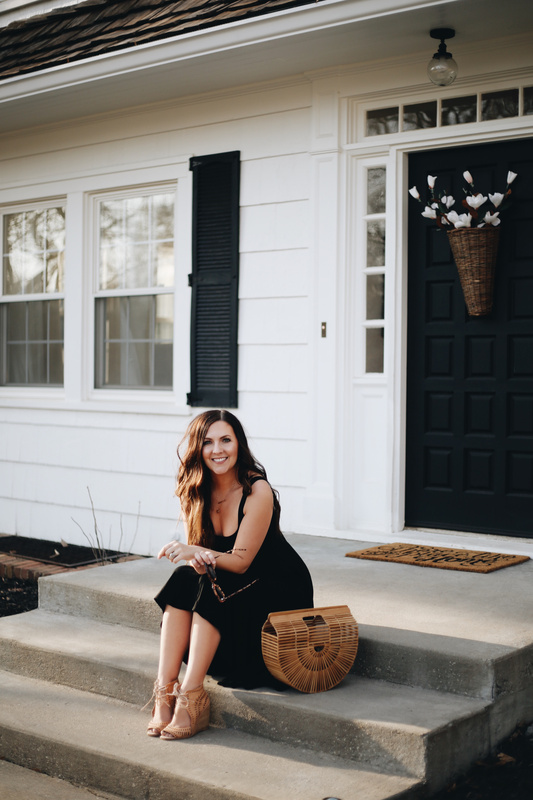 This post was sponsored by Nordstrom & ShopStyle, all opinions are my own! Scroll to shop the post + a few more holiday style favorites. ‘Tis the season, my friends!! We have two months to wear all the festive pajamas, drink all the hot chocolate & listen to all the Christmas music, let’s not waste any time!! I have been so excited to share this post, rounding up everything you could ever need for the coziest, most festive holiday season EVER!!! You guys, trust me when I say, those grey fleece leggings will give you LIFE. They are seriously so soft and comfy, I sleep in them but also wear them for errands! Also, they’re warm and I need that!! I’m obsessed with all holiday pajamas, so naturally the striped one piece had to be mine, and what is cold weather season without all the cozy sweaters, pom beanies and warm slippers?! This is probably the best basic long sleeve tee of all time, all of the colors are gorgeous and it holds it shape so well wash after wash.
A flannel Christmassy bathrobe (you know Diane Keaton would totally wear this over one of her iconic turtlenecks). Festive knit mittens that are almost identical to the yellow ones I posted a few weeks go, you need these. All of our favorite jams on this Christmas playlist. And movies you need to curl up to with this holiday movie lineup!